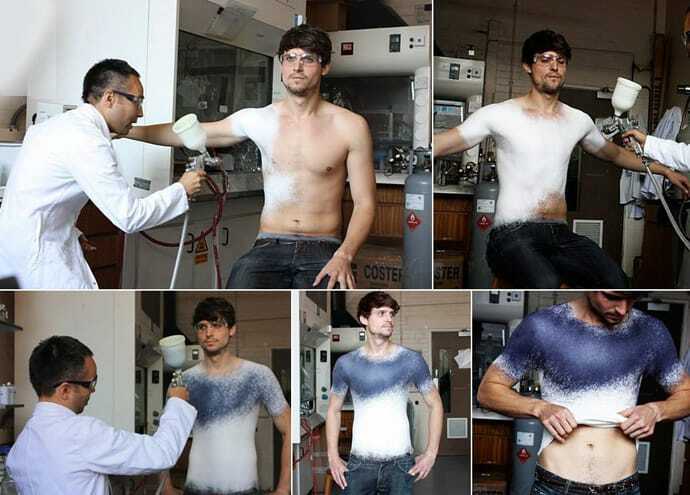 Spanish fashion designer Manel Torres invented the world’s first clothes-spray, which after application to the body can be removed, washed and worn again. Spray consists of special fibers mixed with polymers, so that the product obtained elastic and durable. The technology has been developed for use in household, industrial, personal and healthcare, decorative and fashion applications using aerosol cans or spray-guns, and will soon be found in products available everywhere. 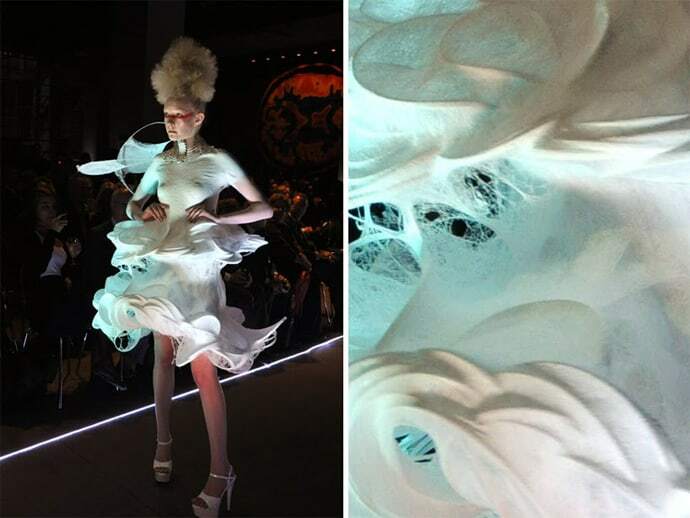 The spray-on clothing will allow designers to create new and unique garments, and embodies the collaboration of fashion and science. Thanks to particle engineer Paul Luckham and fashion designer Manel Torres, we can finally see the day of having clothing in a can! Now we can spray ourselves up with some new duds just like spray-on tans.